Orka Homes works closely with banks in the UK and Fethiye to bring you the best possible deals on Turkish Mortgages, accounts and savings. 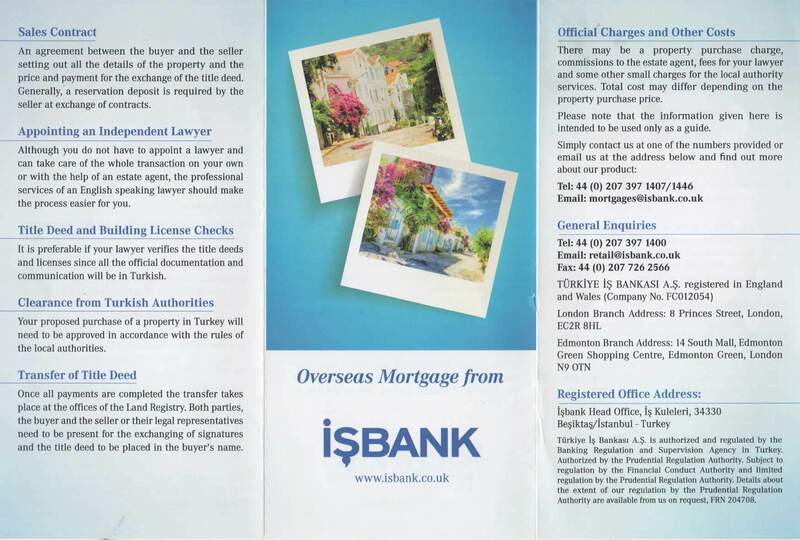 At present London based İş Bank (Pronounced Ish Bank) have arranged for us a very competitive rate and borrowing levels which are far superior to every other Turkish bank. Orka Homes will help you throughout the application process and the İş Bank London office will communicate with as well. The application process is very simple and straightforward and you will receive a decision very quickly. 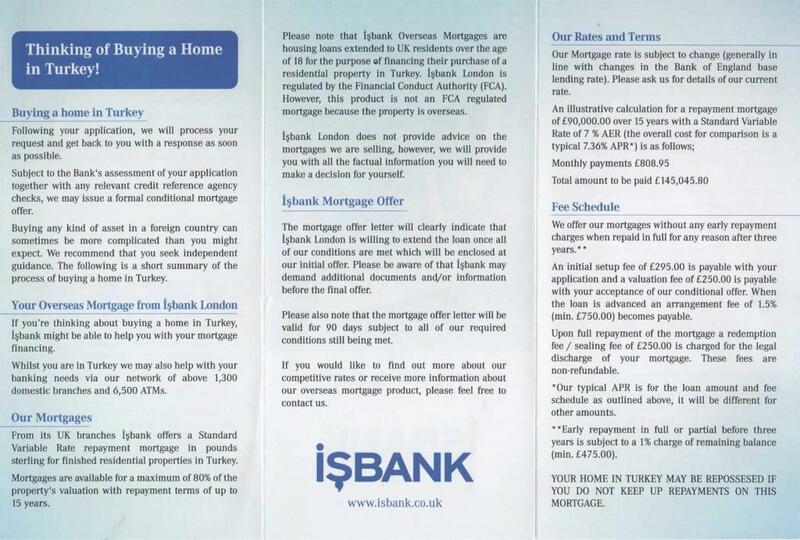 Please have a read through their brochure below and let us know if you would like to apply for a Turkish Mortgage. Please let us know if you would like more information on a Turkish Mortgage.